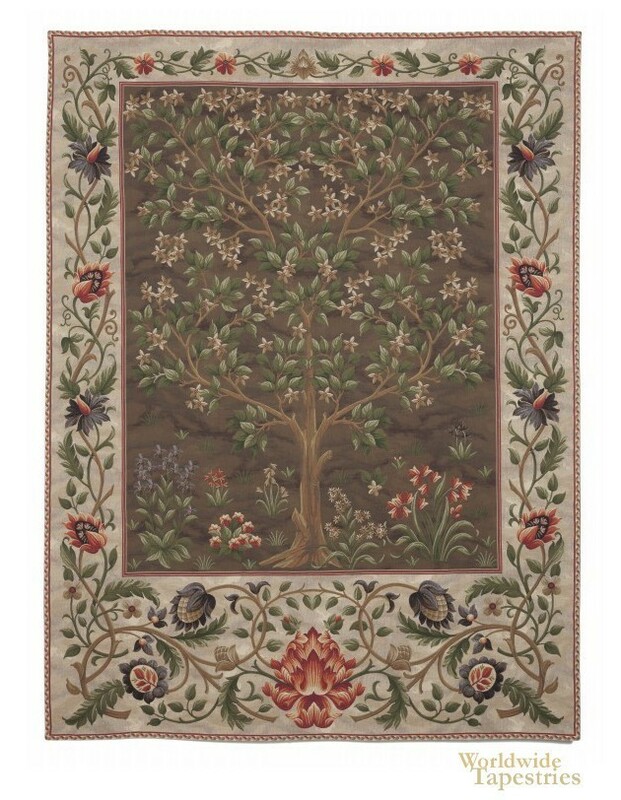 This classy Tree of Life Earth Brown tapestry is superb in its detail and colors. Here we see the immortal tree of life in a brown earthen background, with its gorgeous green leaves and light brown flowers of the tree, as well as the red and purple flowers of the forest standing out well. The ornate border features a design of flowers, and vine leaves to add color and vibrance to this scene. Tree of life tapestries are inspired by the designs of William Morris and Dearle from the Victorian era of arts and crafts which saw a resurgence of individually designed pieces of art and home décor including wall tapestries. Dimensions: W 55" x H 69"